African Excursions specializes in travel to Botswana and beyond. Run by Peter and Cecilia Durkin, US citizens who were residents of Botswana from 2003 to 2006. We know the guides and tour operators, have been to many of the lodges and camps, and have done it ourselves. In addition to our own tours, we offer advice and bookings on other photographic, birding, and eco-cultural safaris. We also offer unique add-on trips that no other travel agent offers. Every so often we get to personally hosted a unique wildlife and cultural safari. We're going back in 2013, care to join us? We brought back some really tough canvas bags to sell from our last trip - check them out! When African Excursions owner Peter Durkin first left the USA in 1984 to serve with the Peace Corps in Botswana, he never thought he would come back. He did, 20 years later, and with his family in tow. 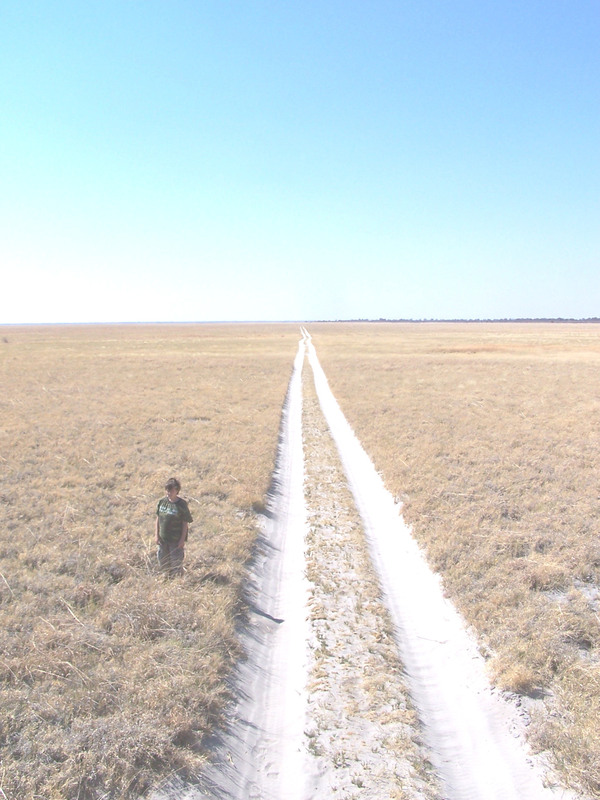 There's no place like Africa, particularly Botswana, the animals, the land, and the people. Life is real there, a little dirty, sometimes slow, sometimes a little scary, often exciting, but always full. Go. Believe us, it will change your life, it changed ours. We work only with small specialized tour operators and outfitters, many whom we call friends. Most of our tours are guided by the owners of these companies and provide extremely personalized service. It's your safari, so it should be what you want it to be. We also host a limited number of trips each year. 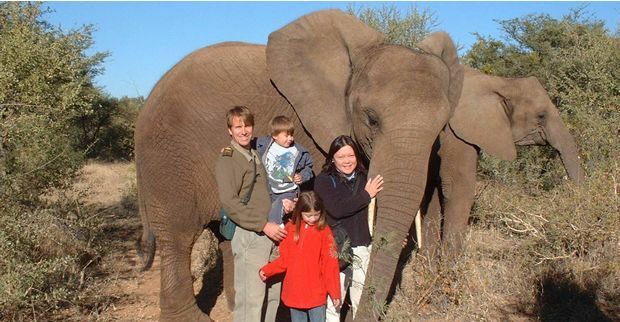 And since we lived there with our children, we can provide special family oriented safaris. Photographic safaris - While there are basic itineraries for 11 and 13 day mobile or lodge based safaris that get you into the heart of Botswana's wilderness, we customize all trips to suit the desires of our clients. We also offer a special boating safari. 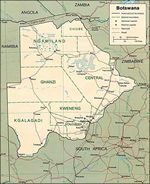 Some of the places to visit are Moremi Game Reserve (one of our favorite places) teeming with game; Savuti with its famous elephant hunting lions; Chobe National Park with the largest concentration of elephants in the world: Makgadikgadi Pans National Park, another of our favorite places; Nxai Pan where a friend of ours, Tim Liversedge, made the Imax film, "Roar of the Kalahari"; the Central Kalahari Game Reserve, a place of desolate beauty; and the expansive salt pans. We also have trips to a new lodge in the southern Kafue National Park in Zambia. We offer a number of special interest add-ons. These include cultural interactions with the San Bushmen in the Kalahari, seeing rock art on Tsodilo Hills, a glimpse of the world of the No. 1 Ladies Detective Agency and Mma Ramotswe, rare bird viewing, fishing, hunting,and walking. These 2 or 3 day side trips can be incorporated into any photographic safari. Birding Safaris - Botswana has over 550 species of birds and is home to many life list species such as the Pels' fishing owl, slaty egret, the African finfoot, and other endemic species. We offer specialized birding safaris around northern Botswana conducted by expert ornithologists, birding cruises on the Okavango River, plus trips to Zambia to see the unique Shoebill Stork. Special Safaris - African Excursions in collaboration with Womens Work, is offering a unique opportunity to join Peter and Cecilia when they visit Botswana to buy crafts in the summer of 2007. Add-on Safaris - African Excursions is proud to be able to offer to its clients a number of unique side trips that can be added to any photographic or birding safari. Add something extra onto your trips! These trips include such adventures as the San Bushman Cultural Experience, The No. 1 Ladies Detective Agency Tour, and other Cultural experiences.